Shipping containers for housing a boiler. 40ft container boiler room housing. Containers converted for use as a boiler rooms. 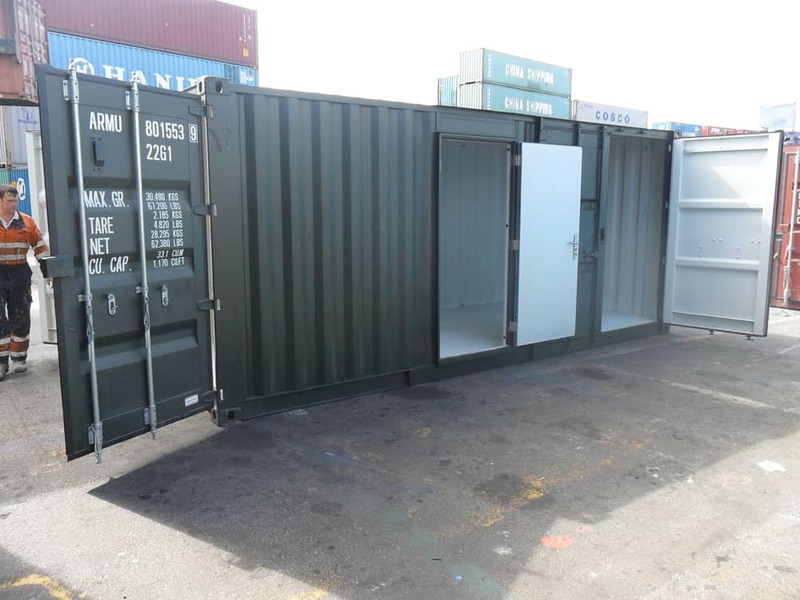 Modification to the boiler room containers pictured above included double side doors, single personnel doors and steel overlay flooring. 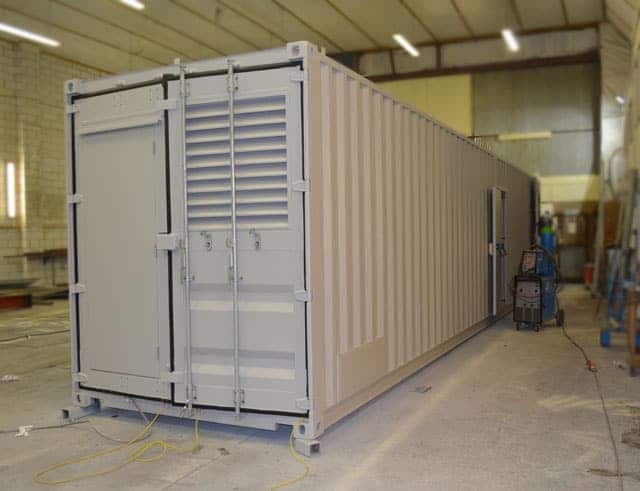 Contact us today to learn how we can help you convert a shipping container into a boiler room.